Printable Trivia Questions are the perfect party games. They are entertaining, challenging and fun. Quizzes can be found about all different topics. Check out our A to Z list for quizzes on your favorite subjects. These fact finding quiz games are the ideal ice breaker game to use to warm your guests up. Hand out silly game prizes to the winners. 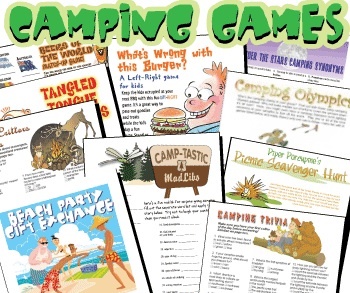 Have party game fun with the following fun printable questions about interesting topics. 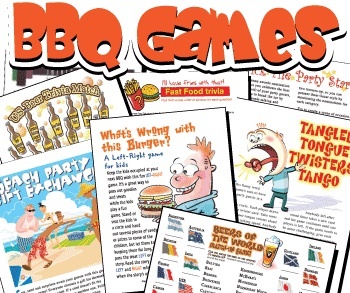 Take a look at all the quizzes and other printable party games you can supply to your guests. Get those game prizes ready! There are several ways to play your games. 1. Form teams...that's always lots of fun. You can make two or three teams depending on how many guests you have. 2. Give each team a noise maker and have them alert you that they want to answer...kind of like a game show buzzer...but you get to decide what it is. Get kazoos or pots and spoons for each team to bang on when they want to answer the question. 3. Let the first person who yells out or raises their hand answer the question. Find the individual games you need, or check out the bundle with a There are also beer and food trivia games in that bunch. You get the milestone birthday games picture, right? 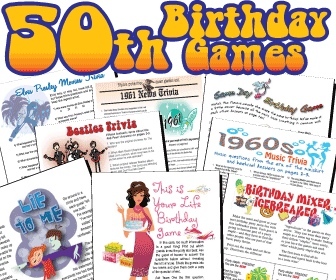 Choose from one or all of these funny party games and help celebrate someone's milestone...Over the Hill...birthday. These funny games also make great sleep over party games. Pick one or pick a bundle! You can find more holiday and party trivia questions and quizzes by clicking on the following links. There are so many ideas and themes to choose from. Remember, the more games the better...that's my theory when I am planning a party! Choose one game or a bundle of them, it's all up to you. 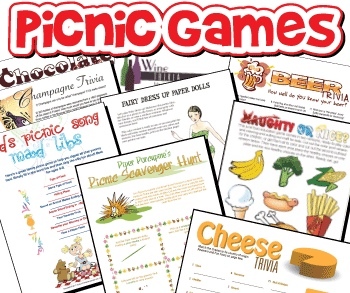 Each link will take you to hundreds of fun printable games. United States quiz three-pack: Patriotic, Presidential and State Nicknames games! Were YOU paying attention during 2009? Play this News 2009 printable quiz to find out!